The director and star of breakout indie Han Gong-ju (2014) are teaming up with veteran actors for their new collaboration IDOL (translated title). 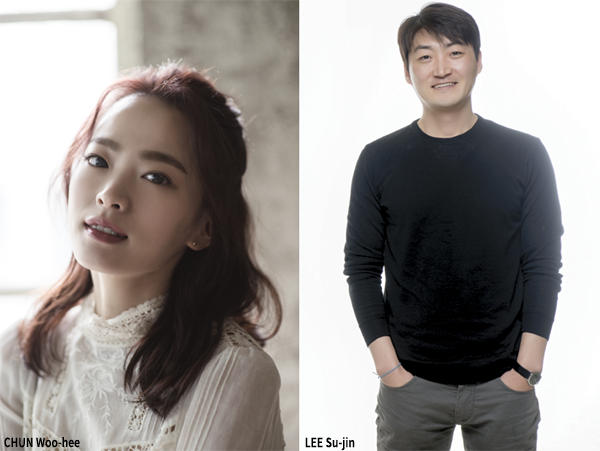 CHUN Woo-hee will join HAN Suk-kyu and SUL Kyung-gu in director LEE Su-jin’s sophomore film. IDOL will feature HAN and SUL as two fathers living very different lives whose fates become intertwined due to an incident. Director LEE debuted to great acclaim with Han Gong-ju, which premiered at the Busan International Film Festival in 2013 before sweeping awards at several international festivals, including the top prizes at the Marrakesh, Rotterdam and Fribourg International Film Festivals. CHUN has been active in the performing arts for over a decade, with a notable supporting role in BONG Joon-ho’s Mother (2009) but Han Gong-ju launched her to stardom overnight after the film netted her over a dozen awards. She went on to star in NA Hong-jin’s THE WAILING and several other major films. HAN is a late 90s star with credits such as Christmas in August (1998) and Swiri (1999) and more recently The Berlin File (2013) while SUL is known for his work with LEE Chang-dong, including Peppermint Candy (1999) and Oasis (2002) and thrillers such as the Public Enemy series (2002-08). He will also star with CHUN in the upcoming drama I Want to See Your Parents’ Faces.